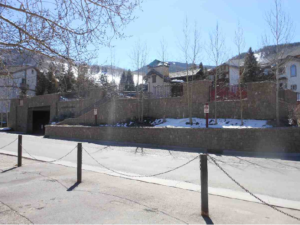 Bridge Street Investments, LLC, a Colorado limited liability company, paid $245,000 for Unit 14 at 360 Gore Creek Drive, also known as Founders Parking Garage, in Vail, Colorado in January 2015. The parking garage unit has a size of .004 acres, equivalent to a square with slightly over 4 meters on each side, according to the Eagle County Assessor’s Office. The Founders Parking Garage is an enclosed heating building that is considered a prestigious location in Vail. The unit was valued at $235,010 for tax purposes as of October 30, 2018. Agustin Maria Franco Macias was an owner of Bridge Street Investments, LLC as of March 18, 2012 as shown by a document that became public in connection with the purchase of Units 402 and 403 at 278 Hanson Ranch Road. Juan Fernando Franco Hernaiz was an “agent” authorized to act on behalf of Bridge Street Investments in 2017 for the purchase of Unit B at 356 Hanson Ranch Road. Agustin Maria Franco Macias is one of the members of the Mexican Council of Businessmen who has met with Enrique Pena Nieto. Franco Macias served as chairman of the board of Grupo Infra as recently as February 2017 according to an Energy Ministry press release at the time. He was an independent director of Grupo Financiero Inbursa, S.A.B. de C.V. until July of 2017, when he was replaced by Agustín Franco Hernaiz.